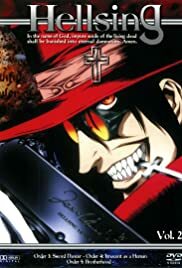 How many episodes of Hellsing have you seen? Integra: I'm surrounded by idiots. Here are some key points to why I like this series: Stylistic animation. Entertaining dialog. A feast for the eye--that is if you like this style of animation rendering. Imaginative way of presenting the characters' power. It's a fun series to watch--- it's not pretentious, not trying to be deep, or to convey some life philosophy. It's like a roller-coaster ride. The plot is interesting. Even though it's not entirely unpredictable, there were moments of delightful surprises. The series is just long enough to tell the tale, instead of dragging on with senseless episodes. Each episode contributes to either the development of the story or of the characters. 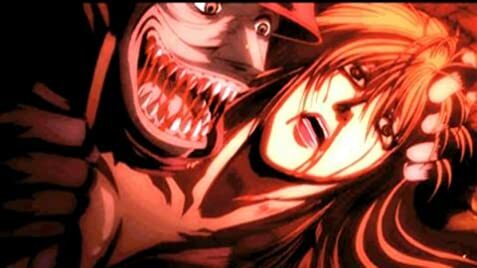 All in all, it's a fun animation if you don't mind seeing animated and exaggerated violence and lots of blood.